Hilary J. Schneider, CLU, ChFC, is Chairman and CEO of ESOP Corporate Resources, Inc. and has been deeply involved in the ESOP community for over 40 years. ESOP Corporate Resources, Inc. markets, designs and implements Employee Stock Ownership Plans (ESOPs) for privately held and public corporations. Schneider has been involved in the implementation of hundreds of ESOPs in virtually every state and for essentially all industries for over three decades. In conjunction with ESOPs, the firm is involved in coordination of corporate structuring, executive benefits and estate planning services. Mr. Schneider is responsible for ESOP design & implementation, corporate administration, repurchase liability funding studies, insurance studies, and marketing, and executive overview responsibilities. 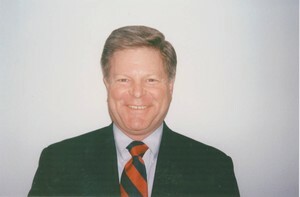 Mr. Schneider authors the firm's newsletter on ESOPs, and has made contributions to the book, The ESOP Handbook. Mr. Schneider is a frequent lecturer on ESOPs, insurance products and their use in ESOP repurchase liability funding and deferred compensation plans, perpetuation and transfer of the privately held business and has been featured on the nationally broadcast Business Radio Network. Hilary J. Schneider has earned the Chartered Life Underwriter and a Chartered Financial Consultant designations and is both a Registered Representative and an Investment Advisor Representative of Lincoln Financial Securities.